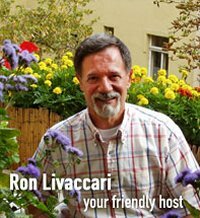 Louren Hotel is a family-run 4-star hotel in a quiet street in the Vinohrady gay quarter and close to a number of gay bars including The Saints, Latimerie and Termix. It is just a 5-minute underground ride from Prague's old town. Free Wi-Fi is available in the entire hotel. The daily breakfast buffet includes homemade bread. Upon prior request, lunch and dinner with international cuisine can be served in the dining room. The Jiri z Podebrad underground station is less than 200 metres away from Louren Hotel. Wenceslas Square is a 15-minute walk away. "Gay friendly / Close to gay district"
Just a 2-minute walk from Prague's Wenceslas Square, The ICON Hotel & Lounge features the Planet Zen Asian massage centre and the ROOM Tapas Bar. Free Wi-Fi is offered. All rooms feature extra-wide, hand-crafted Swedish Hästens beds made from all-natural materials. They include anti-allergenic down duvets and pillows as well as 2 sizes of pillows for your comfort. Furthermore, guests can enjoy a flat-screen TV and a DVD player and there is an iPod and an MP3 connection. There are also biometric laptop-size safes. Some rooms feature a seating area and a home cinema system. The ROOM Tapas Bar is open for breakfast, lunch and dinner. A combination of buffet and à la carte breakfast for late risers is available throughout the day. Pick up from the airport can be arranged by the hotel at an additional cost. Secured public parking is possible at several locations nearby. Prices vary depending on the size of the car and the location of the parking facility. 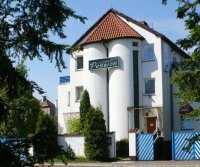 "Gay friendly / close to gay bars"
Located 250 metres from the Ladvi metro and tram station, this 100% gay hotel is set in the outskirt of Prague. It offers free Wi-Fi, continental breakfast and free parking. Guests of the Gay Hotel can relax in the spa area, which features a hot tub, a sauna and a solarium. Massages will be provided on request. 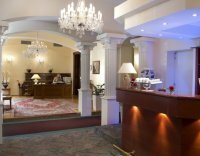 Though the Gay Hotel Villa Mansland is located in a quiet residential area of Prague, the city centre and famous Wenceslas Square can be reached within 10 minutes by metro. "Gay Hotel / Gay friendly"